For several years we have witnessed a rebirth of retro. A real commercial argument, especially in terms of “vintage”, retro has gradually invaded today’s aesthetics and has infiltrated all areas. 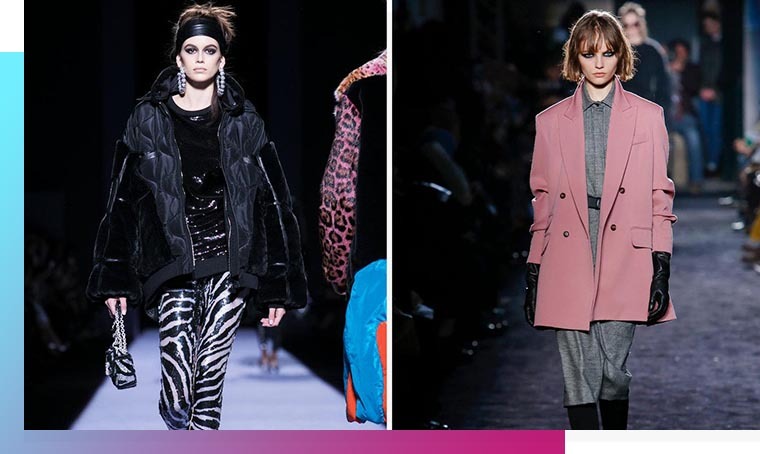 These days the 80s and 90s are particularly popular, you just have to look at what’s happening on the fashion side, when Balmain, Versace or Tom Ford show models dressed in layers, zebra leggings, oversized jackets or oversized shoulder pads, you know something is going on! Since Stranger Things’ arrival, some have fully embraced their nostalgic side. Hello hallucinating patterns, neon colors, nintendos, 16-bits… Whether you like it or not’80s kids, you are officially retro. For better or for worse, let’s dive head first into a great bath of glitch, pixels and absurd, and go back in time to explore today’s retro aesthetic. Three trends, in particular, stood out in 2017: Brutalism, Memphis and Vaporwave. The brutalism having already been dealt with here, we skipped this step and directed our DeLorean to the following destinations. Memphis is an aesthetic that comes straight from the 1980s, redefining the design industry and its decade of origin. The 80’s is colour and Memphis is colour. 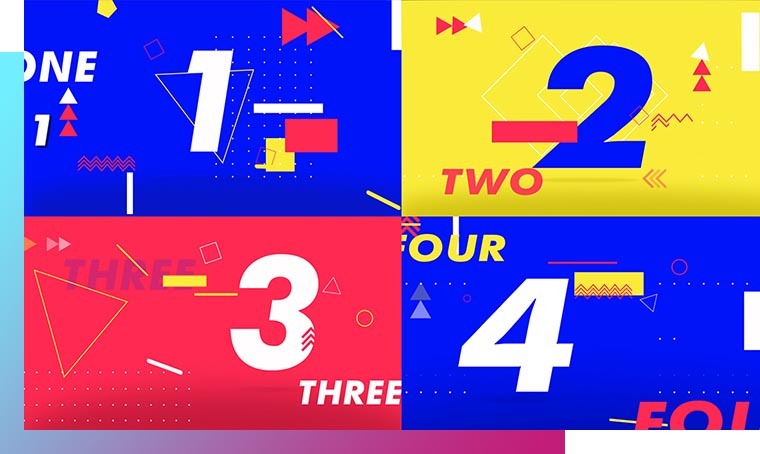 Bright, bright, clear colors, geometric shapes and vector patterns, superimposed shapes… Add a family of linear typography on it, and you have the recipe. This style would have been created by the group of the same name in 1981 under the cut of the architect Ettor Sottsass. Based in Milan, Italy, he also worked with architects from all over the world. Legend has it that the name of the current comes from a Bob Dylan song (Memphis Blues Again) heard during one of their meetings. Memphis lasts a few years and dies out before gradually reappearing in consciousness. It was officially resurrected in 2014 when American Apparel asked Nathalie Du Pasquier, a member of the original Memphis collective, to design a collection. 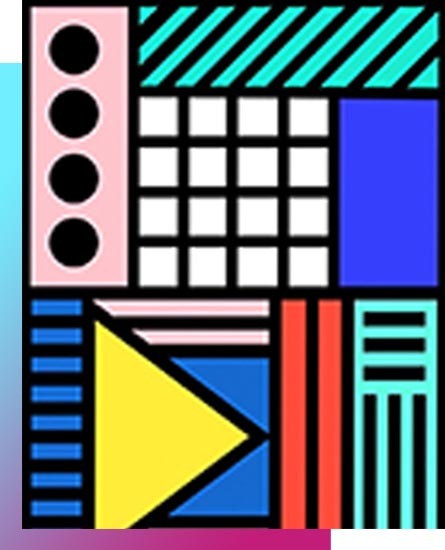 Among the examples that illustrate the use of the Memphis aesthetic, MTV is in a good position with a branding or variations that show the principles mentioned above. This top 10, made for the Vietnamese version of the chain, is quite explicit: clear primary colours, superimposed geometric shapes, everything is there. Boomerang was in the process of rebranding last year with a view to repositioning itself as a dominant player in the children’s television market. Art&Graft joins forces with Cartoon Network and in April proposes a redesign of the channel’s identity, also inspired by Memphis design. We’ll let you judge for yourself! Also close to the Synthwave trend (but let’s not mix the two, we would anger the connoisseurs :D), this trend was first born musically. It toured around Tumblr and Reddit in the early 2010s. The video clips had a visually worked aesthetic, often weird, derived from the subculture of the 80s and 90s. It started with stylistic experiments with electronic music that included jazz, funk and new age by mixing and superimposing them. If you want to fill your ears with acid retro notes, the current’s flagship song is Computing Lisa Frank 420 by Macintosh Plus (when we tell you it’s retro). That said, you can listen to the soundtrack to Kavinsky’s movie Drive, you’ll be in too. 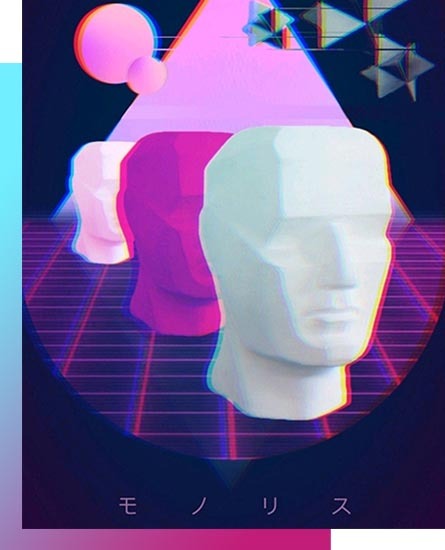 Vaporwave art is essentially photographs with printing defects, video bugs, old graphic styles (it speaks to someone the Word Art? ), Greco-Roman figures or statues, tropical elements (palm trees, mountains, oceans, dolphins, please yourself), Japanese culture (typography, city views), pixel art 8 bit. Ah and Arizona Ice Tea too. In popular culture, style inspires all areas. Far Cry Blood Dragon, video game released in 2013, has its action immersed in a universe totally inspired by the Vaporwave and the famous retro-futurism, all neon and tart colors. Groups and sites are flourishing on the Web to create, list, extend the trend, such as RAREGXNG on Facebook, or the newretrowave.com site. Fans will appreciate: the Rick and Morty series also surfs on the retro/Vaporwave wave, by its acid colors, its absurd scenarios and its side Return towards the Future-who-would-have-wrong-turned. We can still quote artists whose visual aesthetics are inspired by this trend: this is the case of Lil Peep, emo rap icon, who died in 2017. Lately we have seen Vaporwave visuals up to the cover of Chris Brown’s single Party. 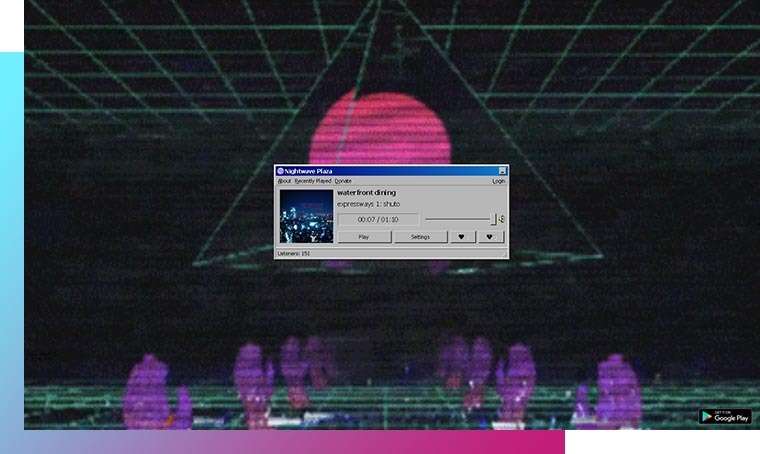 For an immersive experience, we also recommend the Nightwave Plaza radio site which will immerse you in the atmosphere: retro visuals with the appearance of old damaged VHS, neon lines, Windows 98 windows, everything is there to share you between the impression of an acid trip and a dive into the past. To sum up, in the retro style, there is something for everyone: clean and colourful, crisp and acidulous, not to mention the vintage craft that serves to sell cauldron cooked jams. Why this fad for the 80s and 90s? It is likely that the generation born at the time and now in their thirties will enjoy revisiting the past: there is in the aesthetics of the time an authenticity, a visual freedom totally out of control. Maybe it also reminds us of the time of wonder when we were still fascinated by good old Windows, excited by pixellated games and fond of special effects… and where everything still seemed to have to be done in design… before technology became the commonplace everyday companion that we know today, and we were surprised to say “it was this film but then computer-generated images, I didn’t believe it for a second! ». The past makes the present more exciting somewhere. So we don’t know you but we put on our’86 Nike Dunk, put on our Aviator glasses and we’ll watch Kung Fury again for the occasion!